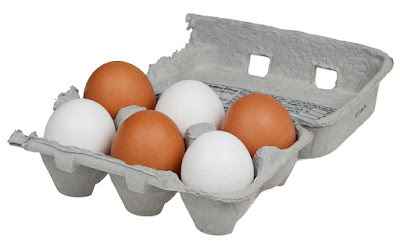 Ben's local shop stocks eggs in boxes of capacity 6, 9, or 20 eggs. What is the highest number of eggs that you CAN'T make? you can make 30 with a five 6 boxes, 30=5x6. but you can't make 31. For those wanting an extra puzzle, can you prove that your answer is correct. Namely, all numbers higher than your chosen integer can be written as a linear combination of 6, 9 or 12. Puzzle from A Beautiful Mind.